SKA Global Headquarters, Jodrell Bank, UK – Today Friday October 13th, the Board of Directors of the Square Kilometre Array (SKA) Organisation approved the appointment, with immediate effect, of its new Chair, Dr. Catherine Cesarsky, following the recommendation from its Search Committee. Dr. Cesarsky succeeds Prof. Lars Börjesson, who has been interim Chair of the SKA Board since Prof Giovanni Bignami tragically passed away last May. The SKA Board expressed its thanks to Prof Börjesson for stepping in at a difficult time. 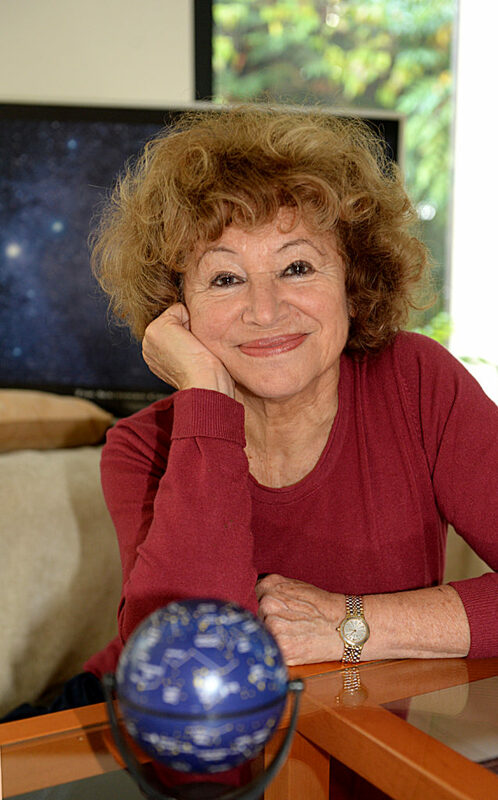 Born in France, Catherine Cesarsky holds a Physics degree from University of Buenos Aires, and a PhD in Astronomy from Harvard University. Throughout her impressive career, Dr Cesarsky has held numerous prestigious positions internationally. After working at the California Institute of Technology (Caltech), she joined the Service d’Astrophysique (SAp), Direction des Sciences de la Matière (DSM) of the French Commissariat à l’Energie Atomique (CEA) in 1974. Head of the SAp from 1985 to 1993, she then became Director of DSM in 1994, where she was leading a team of about 3000 scientists, engineers and technicians involved in a large spectrum of basic research programmes in physics, chemistry, astrophysics and earth sciences. From 1999 to 2007, she was the Director General of the European Southern Observatory (ESO). From 2009 to 2012, she was High Commissioner for Atomic Energy in France, advisor to the French government on science and energy issues and is now High level Science Advisor at CEA. An accomplished astronomer with more than 150 refereed papers, Catherine Cesarsky’s research activities span several areas of modern astrophysics, from the high-energy domain to the infrared. Examples of her research include the studies of the propagation and composition of galactic cosmic rays, of matter and fields in the diffuse interstellar medium, the acceleration of particles in astrophysical shocks, e.g. in connection with supernovae, and the infrared emission from a variety of galactic and extragalactic sources, leading to new and exciting results on star formation and galactic evolution. As Director General of ESO, Dr. Cesarsky oversaw the operation of ESO’s large optical telescopes and the start of construction of the Atacama Large Millimeter Array (ALMA) – a collaboration between Europe, North America and East Asia – in northern Chile. She also launched the European Extremely Large Telescope project, one of the key astronomical facilities of the coming decades along with the SKA. Among other activities, Dr. Cesarsky has also been editor in chief of the journal Astronomy and Astrophysics, President of the International Astronomical Union, member of the Steering Committee of the European Research Council, member and subsequently Vice-President of the CERN council, and Chair of the European Space Agency’s Space Science Advisory Committee. Since 2013, she has been the chair of the High-level Council on Large Research Infrastructures of the French Ministry of Research, and in 2017 Vice-President Foreign Secretary of the French Académie des Sciences. Catherine Cesarsky holds a Doctorate Honoris Causa from Geneva University and an honorary Doctor of Science degree from the University of Cambridge. She is a member or foreign member of various Academies (Academia Europaea, French Science Academy, International Academy of Astronautics, US National Academy of Sciences, Royal Swedish Academy of Sciences, Royal Society of London, National Academy of Exact and Natural Sciences of Argentina). She is Commandeur de la Légion d’Honneur – France’s highest order of merit – as well as Grand Officier de l’Ordre National du Mérite. Already supported by 10 member countries – Australia, Canada, China, India, Italy, New Zealand, South Africa, Sweden, The Netherlands and the United Kingdom – the SKA Organisation has brought together some of the world’s finest scientists, engineers and policy makers and more than 100 companies and research institutions across 20 countries in the design and development of the telescope. Construction of the SKA is set to start in 2019, with early science observations in the early 2020s.